Dr. Jeffrey Hal, University of Maine, Dr. Michael Rosbash, Brandeis University, and Dr. Michael Young, Rockefeller University, worked with fruit files to discover the gene that controls circadian rhythms. 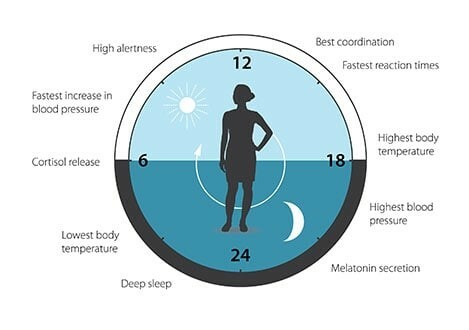 They found that our “inner clock” adapts functions like behavior, blood pressure, heart rate, and body temperature according to the 24 hour cycle. Their work also indicated that when the circadian rhythm is disrupted, it can impact health and well-being. The circadian clock anticipates and adapts our physiology to the different phases of the day. (Source: The Nobel Assembly at Karolinska Institutet). The fruit fly has long been an important animal model for advancements in science and medicine. Fruit flies share 75% of the genes that cause disease with humans. 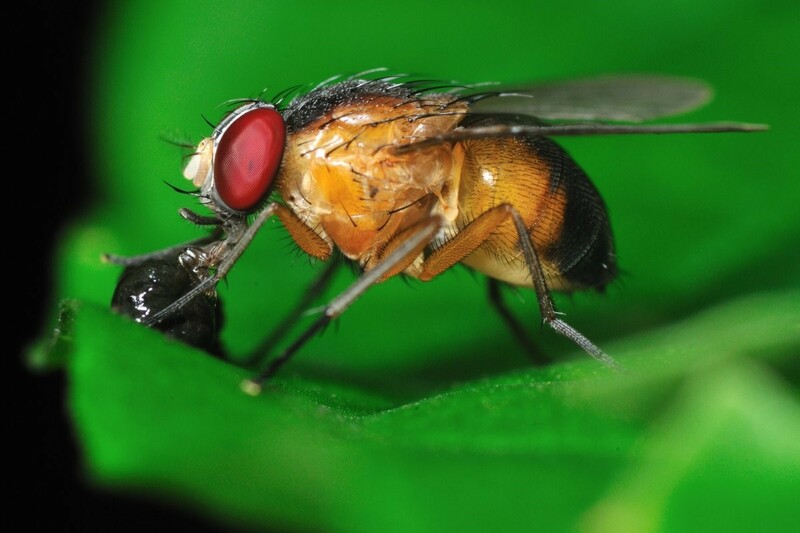 This allows scientists to learn about human genetics by studying fruit fly genetics, as is the case in this discovery about the gene that controls the circadian rhythm of plants, animals and people. Fruit files have simpler pathways than that of humans but the core of these pathways are similar in all biological systems making them ideal to study. In addition to circadian rhythm research, these insects have been involved in studies about cancer; birth defects; development of the respiratory and circulatory systems; cardiovascular development and disease; taste, sight, smell and hearing; learning and memory; brain disease; sleep; drug abuse; aging; and diabetes and so much more. Fruit fly (Drosophila). Source: yourgenome.org. The last Prize awarded for research that relied on fruit flies was in 2011. Animal models were relied upon by researchers who received the Nobel Prize for Medicine or Physiology in 2016, 2015, 2014, 2013, and 2012. 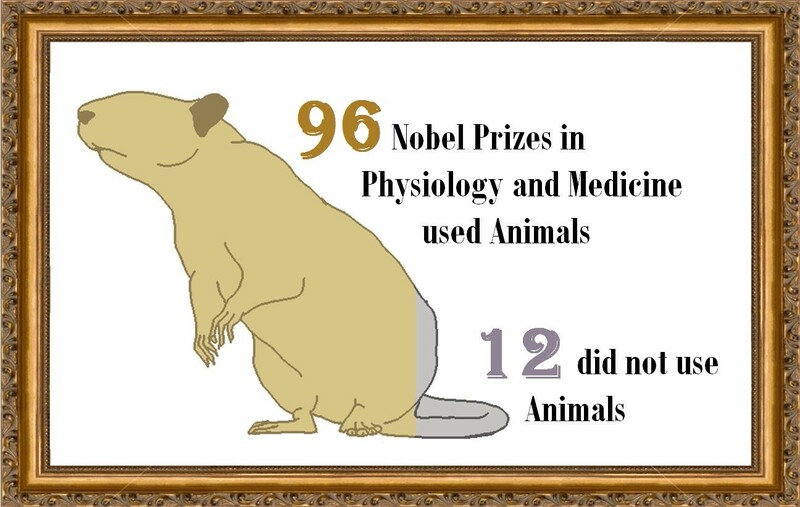 In fact, animal models have been integral for 96 of 108 Nobel Prize winners in Physiology or Medicine. Speaking of Research congratulates this year’s Nobel laureates in Physiology or Medicine. Because of their work, the development of circadian biology has developed into a highly dynamic research field with promise to improve the health and well-being for many. Previous Previous post: Research Roundup: Drawing closer to curing the organ transplant shortage, using dengue antibodies to minimize the effects of Zika virus and more! Next Next post: How many animals were used in Poland and Finland in 2016?